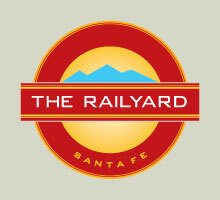 For an exciting world-class contemporary art experience, visit the hip new Railyard Arts District where multiple galleries plus SITE Santa Fe boast the best in international contemporary art. Housed in spacious warehouse-style buildings, all within walking distance, the galleries include Blue Rain Gallery, Charlotte Jackson Fine Art, Evoke Contemporary, Form & Concept, LewAllen Galleries, Photo-Eye Gallery, Tai Modern, gallery Fritz and Zane Bennett Contemporary Art as well as the internationally renowned SITE Santa Fe art space. Galleries are open year-round and feature an Artwalk from 5 to 7pm the last Friday of every month.